Sikkim is a north-eastern state of India. The state is flanked by China in the north and east and Bhutan in the east. Located in the lap of Eastern Himalaya, Sikkim is the second smallest and least populous Indian state. 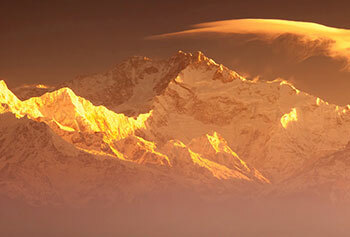 The state is known for its biodiversity and is home to the mighty Kanchenjunga, world’s third highest mountain peak. Sikkim is an environmentally conscious state. To keep the state’s carbon footprint in check, the local authorities, over the years, have taken various steps such as banning the use of plastic water bottles and style-form products. In 2016, the state achieved its target of converting its agriculture into full organic. Clean, Green & 'All Organic' Window To The Himalayas and home to around 600 species of orchids that are a manifestation of the colours of life. Whether you are an avid naturalist, an ardent foodie or an adventure sport enthusiast, Sikkim is the place to be. The state is blessed with several towering mountain peaks that support a variety of flora and fauna. Watching these animal and plant species thrive in their natural habitat is nothing short of a boon. Courtesy its location, Sikkim is one of the best places in India to try adventure sports such as trekking, river rafting, and mountaineering. The locals are friendly people and welcome visitors with open arms and hearts. Sikkim is known for its colourful festivals the world over. These festivals showcase the rich cultural heritage of the state and involve local dancers enacting folklores. The state is home to around 600 species of orchids that are a manifestation of the colours of life. Sikkimese cuisine has never had any dearth of takers and is known for its unique flavours, traditional preparations, and distinct taste. 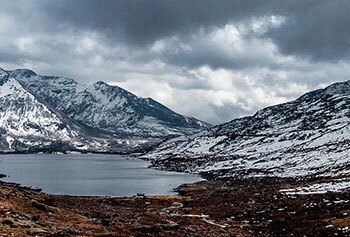 Be it North, South, East or West Sikkim, every zone has something that has always awestricken the tourists. Gangtok is popular for its Buddhist pilgrimage sites, hiking, and ropeway; Lachung for its monastery and the Yumthang Valley; Yuksom for its serenity, natural beauty, and trekking trails; Pelling for its natural beauty and adventure activities and Namthang for its natural beauty, trekking trails, and art centres. Tourism in Sikkim is not only about misty clouds, tea gardens, mighty peaks and rippling streams but also a lot about its rich culture & heritage. Built in 1705, Pemayangtse Monastery is one of the oldest monasteries in Sikkim. The monastery was built for monks of Tibetan lineage, who have vowed celibacy and do not have any physical deformities. The monastery complex houses statues of saints and Rinpoches, and religious scriptures. The doors and windows are painted in traditional Tibetan design. Rumtek Monastery was built in the 16th century and served as the main seat of the karma Kagyu lineage before being abandoned. In 1959, the then Karmapa arrived decided to rebuild the monastery as the site was considered to be highly auspicious. The monastery is a cultural treasure house and is home to rarest Buddhist artworks such as wall murals, thangkas, silk paintings and statues. Kirateshwar Mahadev Temple, Located on the banks of Rangit River, it is an ancient Hindu temple dedicated to Lord Shiva. According to some believes those who pay obeisance to the presiding deity earn the ‘punya’ (virtues) of two lifetimes. Pemayangtse Monastery was built in 17th century, and is located at a height of around 6.900 ft. The monastery offers a panoramic view of the surroundings. The three storeyed monastery houses various wall paintings, sculptures, and antiques and also has a painted model of Guru Rinpoche's residence. Located around 75 kms from Gangtok, Samdruptse is one of the most important pilgrimage sites in the region. The major attraction of the centre is the 135 feet statue of Guru Padmasambhava. Labrang Monastery is another very famous place for its unique architecture. The white walls and gilded roofs are done in mixed Indian and Tibetan architectural style. Built in 18th century, the monastery has several halls, centres of learning, a museum, and a gilded stupa. In this land of rippling rivers, The Tsomgo is a glacial lake located on the north of the Nathula Pass. The lake remains frozen throughout the winter. As seasons change, the lake’s surface reflects different colours making nature come alive. The lake is held in reverence in the region and is considered to be sacred by the locals. River Teesta and its tributary Rangit are a hotspot for river rafting. Camps on the banks of these rivers that are dotted with lush jungles and quaint mountain hamlets. Mountain biking is also a very famous adventure sports here. Gangtok and Rumtek have various stretches of rugged land suitable for mountain biking. These stretches are dotted with snowcapped mountain peaks in the background. If you fancy the idea of being able to fly like a bird, Sikkim is the place to be. The state has various paragliding spots. Once you gain elevation, the beauty of surrounding ice-capped peaks and greenery will blow you away. Sikkim has lot to offers to trekkers. The state has various trekking trails such as Sandakphu trek, Rhododendron Trek, Tsachu Trek, Himalayan Trek, and Tosar Lake Trek. These treks are home to pristine waterfalls, majestic snow-capped peaks, exotic flora and fauna, and ancient monasteries. Blessed with several mountaineering trails including Mt Khangchendzonga, Mt Kabru, and Mt. Siniolchu, Sikkim is dotted with pristine lakes, alpine meadows, and colourful flora and fauna. The Yak Safari should be in your bucket list. Head straight to Tsomgo Lake to hop onto a yak’s back and savor the beauty of the surroundings as the gentle giant moves sluggishly. Cable cars ply on the Gangtok Ropeway that was inaugurated in 2003. The 1 km ride offers a bird’s eye view of the city and is not to be missed. Home to various colourful species of flowering plants such as magnolia, blue poppies, primulas, and gentians, Sikkim has different varieties of rhododendrons that are studied by national and international botanists at regular intervals. The forests in the state are home to figs, laurels, sal trees, oak, chestnut, birch, and silver fir. The dense jungles are inhabited by a variety of animal species including the rare snow leopard, Red Panda, Himalayan Black Bear, Musked Deer, and Tibetan Fox. Some bird species found in the region are: Large Falcon, Monal Pheasant, and Black Necked Crane. Sikkimese are simple, friendly, and down to earth people who love celebrating life and their cultural heritage. Some prominent fairs and festivals celebrated in different parts of the state are Pelling Tourism Festival, Red Panda Winter Festival, Losoong Festival, Pang Lhabsol, Losar Festival, International Flower Festival, Bumchu and Saga Dawa. Sikkimese cuisine is a mix of vegetarian and non-vegetarian delicacies. Some traditional delicacies savoured by locals are: Dhindo, Thukpa, Sha Phaley, Sinki, and Gundruk. Momo, a type of South Asian dumpling savoured by people around India is a traditional Sikkim delicacy. 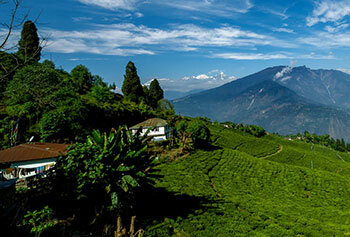 When preparing for your Sikkim trip, we suggest you carry an extra bag for souvenirs. From prayer wheels, and flags to Thangka paintings the list of souvenirs to buy is quite a big one. Gangtok, the state’s capital has various markets that sell local handicrafts and cheese made of yak milk. When in Yuksom, remember to visit the local market to shop for traditional handicrafts, and Thangka paintings. Shops in Pelling sell traditionally designed carpets, shawls, carpets, and wall hangings. Interestingly, Sikkim has 11 official languages including Nepalese, Sikkimese, Lepcha, Sunwar, and English. So an easy mode to communicate for any tourist is English. Non-the-less, trained tourist guides will be there with your guests to assist them throughout their holiday in India.